For 13 years I taught Language Arts to junior high students. I had a list of reading standards that I needed to teach on a yearly basis. I had to make sure kids knew the theme, perspective, conflict, author’s purpose, create beautiful plots lines, and many other standards. During that time we read lots of short stories, novels, articles, and a wide variety of other reading materials. Nearly every time kids were reading, they were doing something with the text. They had to annotate, fill in an organizer, do notes and many other things. However, after this last year teaching in the library, I am beginning to wonder if teaching reading is something we really should be doing. Or at the very least, we need to look at it differently. Let me be clear that yes, we need to teach kids how to read. They need to know the vocabulary and be able to comprehend what they are reading. Reading is a foundational skill that all kids, and adults for that matter, need to master. However, at some point much of the reading standards we ask kids to learn don’t serve any purpose beyond filling in a bubble or checking off a list of standards. I wonder if there might be another way to go about it. This past year as I spent my time working with students in the library I had a much different perspective on reading. I talked to kids every single day about what they were reading. Frankly, I talked more about reading this past year as the librarian than any other year as a Language Arts teacher. When talking to kids, I wasn’t asking them to interpret the text or seeking out right answers about what they were reading. Instead, we just talked about the books. Period. We talked about what made them laugh, cry or think about their world. Those conversations were not only enjoyable to me but it appeared as though lots of kids were just excited to talk about what they were reading. With that in mind, I wonder if we can shift how we approach reading in our classes. I fear we have become obsessed with over teaching and seeking “right” answers, we are missing the bigger picture which is creating kids who love reading. I firmly believe literature can be used as a gateway into learning far beyond the learning standards teachers are asked to teach. Reading can create empathy within our students when they are exposed to ways of life different than their own. 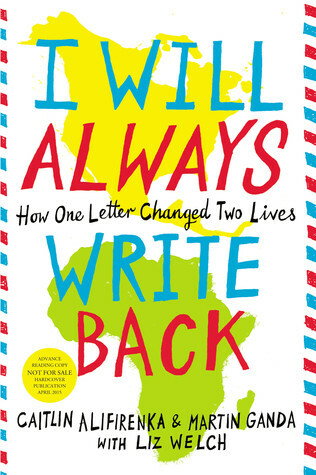 Check out I Will Always Write Back for a fantastic example of looking at life through another lens. I had a great conversation with my own children about homelessness after we read Crenshaw together as a family. Empathy is so critical in our world and many books help kids put on someone else's shoes. A great book can help students connect with characters who may be struggling with the same personal challenges the reader is. Gracefully Grayson and El Deafo are two solid examples of characters dealing with their identities and the discomforts they encounter. Kids often don’t know how to talk to people about their struggles and a character in a book can often give insights and guide them through troublesome times. Or at the very least give them hope they are not alone. As we see evidence of a lack of perspective and understanding of others in this often unjust world, literature can be a way to start difficult conversations we need to be having. 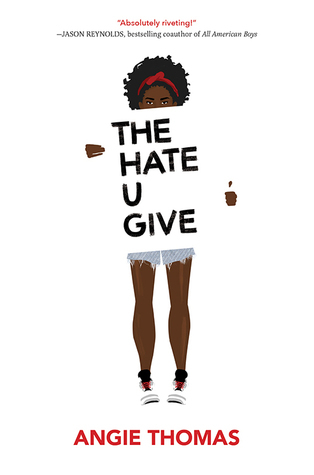 For me, The Hate U Give and Full Cicada Moon are solid stories to help start a critical conversation. It is too easy to brush these conversations off because as adults we are uncomfortable but literature can be the jumpstart we need. I think it’s time to lay down the rubrics or reader’s workshop checklists and just talk to kids about the books they love and even those they hate. If we approach teaching reading with the mindset there are right answers, we are doing it wrong. The beauty of reading is there are no right or wrong answers. There are just perspectives and every reader has one of their own. There are lots of kids that love reading until we teach the love out of them. It’s time to shift to helping kids use reading as an avenue to learning about themselves and the world around them.